I thought it would be good to brush some of the dust and cobwebs away and shortly tell what I’ve been up to and what I’m planning to do. And also to remind you that: the rivers are flooding, days are warm and sunny, mosquitoes are few and you should be out playing rather than reading this! 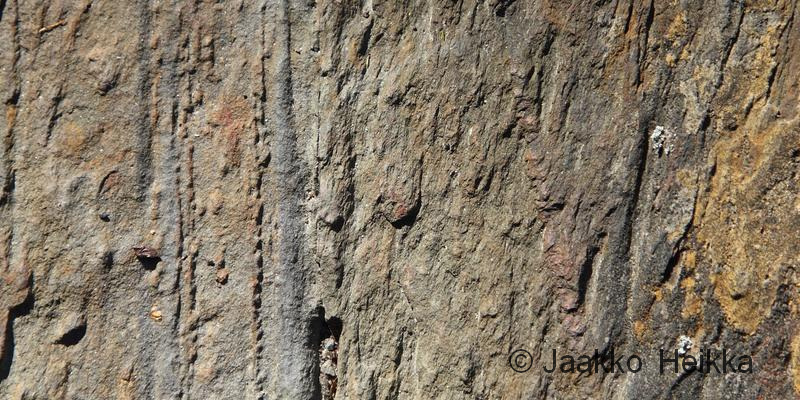 During the last few weeks I’ve been quite busy with the Wilderness Guide School. Luckily in a positive way i.e. we’ve been a lot in the outdoors and I haven’t had an access to computer to blog. 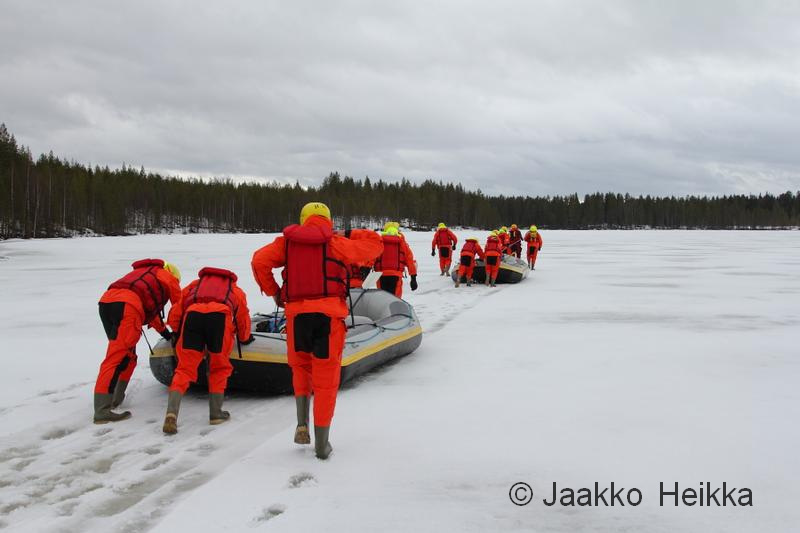 First we were on a white water raft skipper course at Jongunjoki, Ruunaa and Haapajoki rivers (all class 2 rivers in Eastern Finland). The water on lake sections was still very white in early May. But water was also available in liquid and quickly moving form. 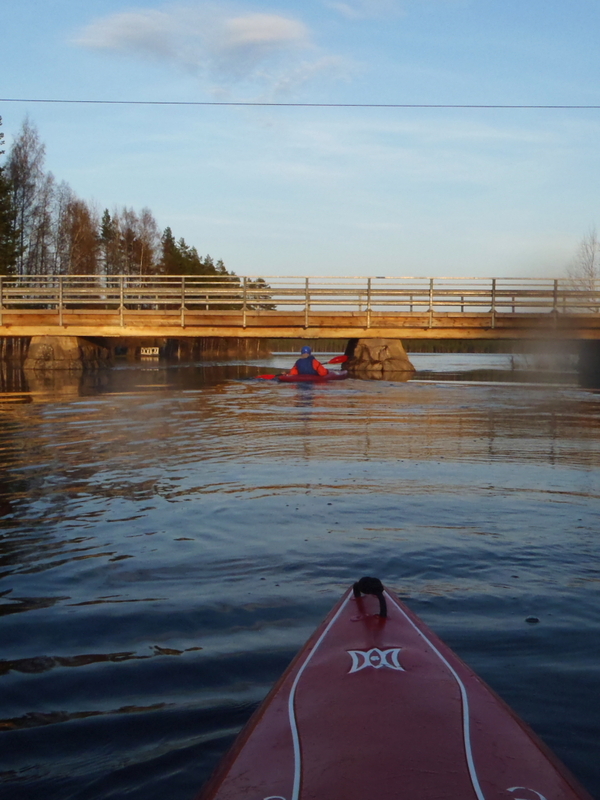 Then we were kayaking and canoeing on Vaikkojoki (nice small river, good going with the flood, mostly class 1) and Kermankoski (not a river but a bigger class 2 rapid for doing white water stuff). 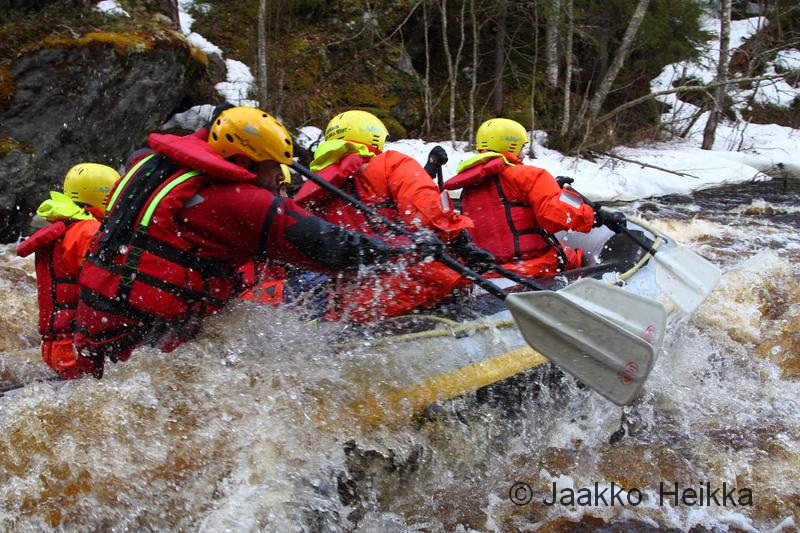 I managed to do also some packrafting! 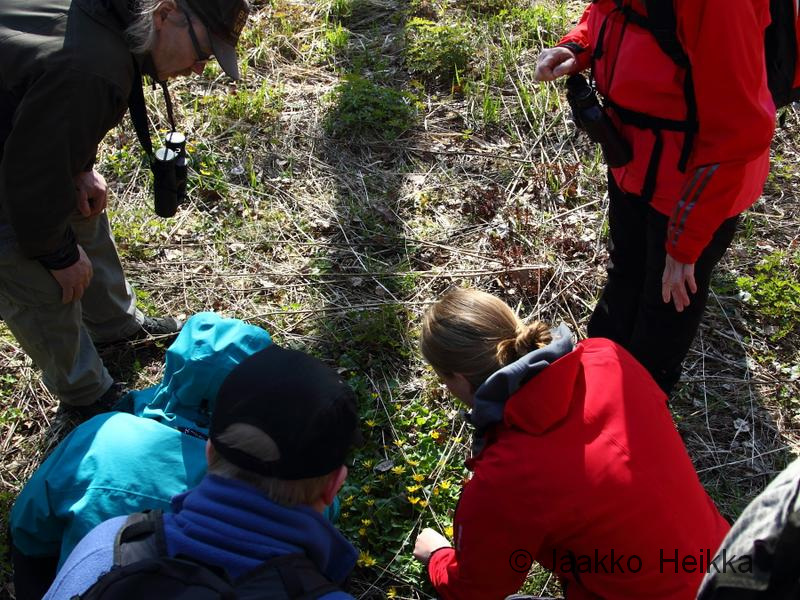 (Vaikkojoki, Myllykoski, class 2.) Pic by Jukka. 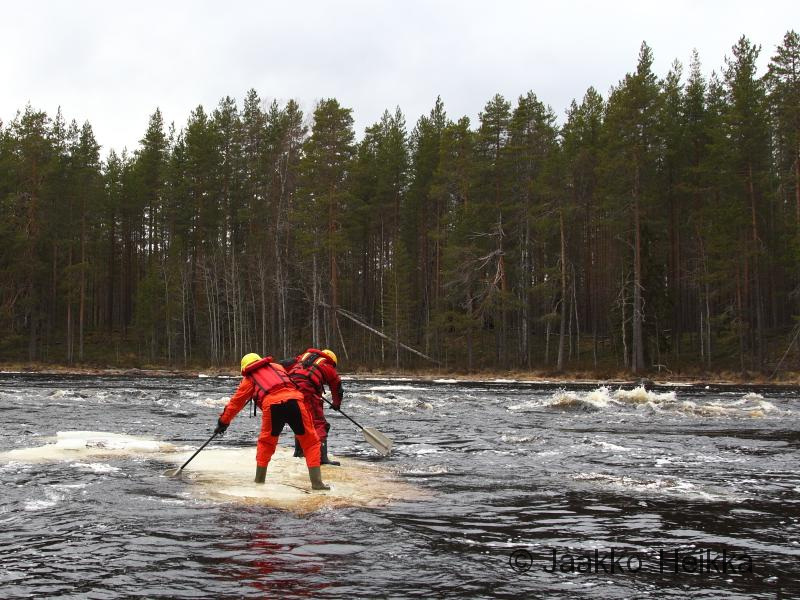 Swamping a canoe at Kermankoski (class 2). Airbags would have saved the day. And when at the school I’ve preferred spending the evenings outdoors instead of blogging. I feel a bit quilty for this as I’ve promised to write about several things, and still hope to, but if I can choose between being outdoors or sitting behind a screen… It’s a no brainer! I’m lucky to have this chance to spend my time outdoors and I’m trying to use it as well as I can. I’m planning to do a little speed hiking trip at the end of the month to see if I like it. 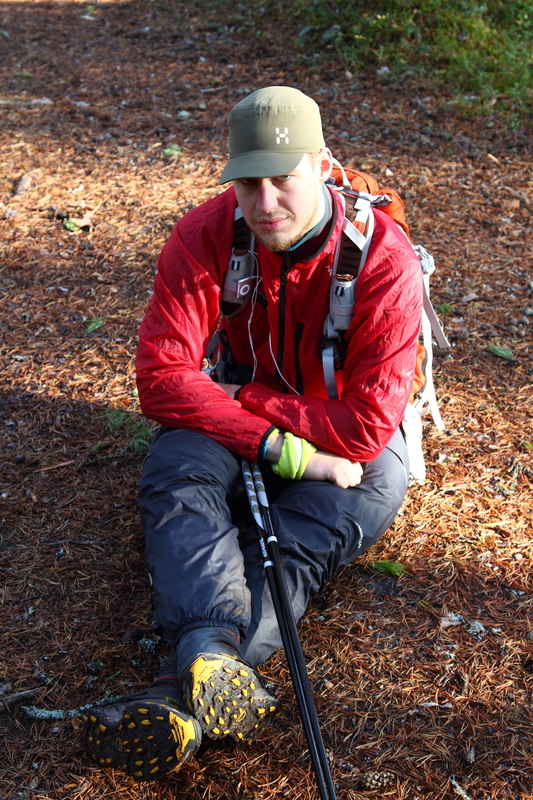 Me and another guide student J plan to walk the 133km Karhunpolku trail in three days, meaning about 45km a day. It’s not especially long trail or fast pace but if I’ll get it done it will be the fastest hike I’ve ever done. I’ve been putting together a light kit list for this one and will later share it for comments and ideas. about 45km a day. I’ve been putting together a light kit list for this one and will later share it for comments and ideas. In mid June I’m planning to do about two weeks hiking trip to North with my girlfriend N. At the moment the plan is to start from South-East part of Muotkatunturit wilderness, walk through the area to North-East and cross a road to Paistunturitwilderness areas and continue from there towards East and the next road. This makes some 200+km of walking trough very nice and wild but gentle tundra and fjells. Should be a great trip – if the hordes of mosquitoes just stay at bay. After the trip I have to do some work to get money to buy food and get back to wild place. But after the two weeks of work I might do a canoeing trip or maybe head to Northern Sweden to hike. Have to see how things turn out. And the third point of the post: Rivers are still flooding (at least in Eastern and Northern Finland), the days are already very warm and the are no bugs (well, not many anyway). So it’s great time to spend time outdoors! Especially paddling the little flooding rivers runnable only for few weeks each spring. It doesn’t even take too much time. 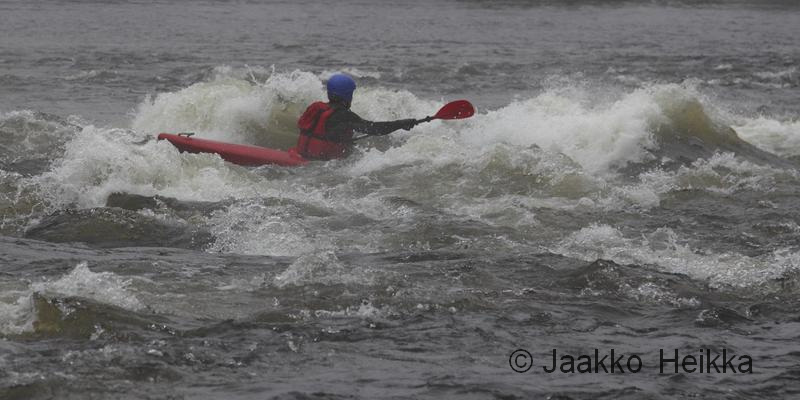 The last week I kayaked Kuuttijoki with my coursemate Huck. 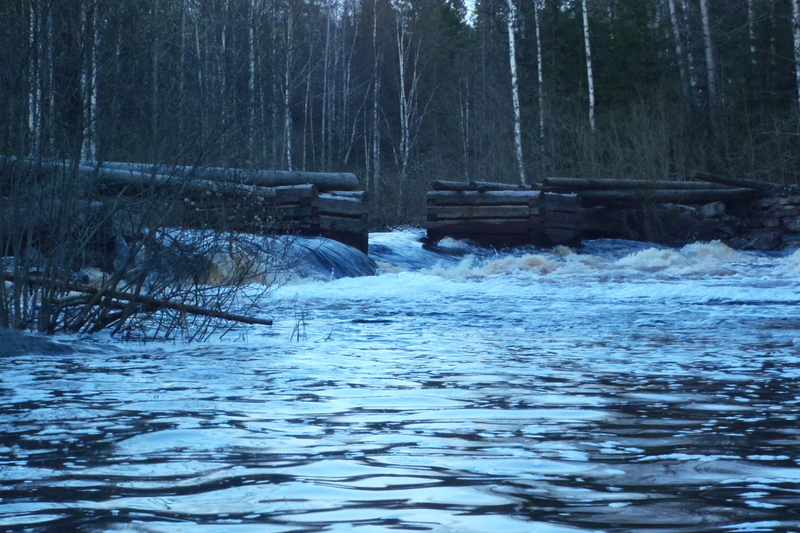 It is about 15km of little flooding river in Tohmajärvi municipality in Eastern Finland. The trip took about 6 hours all together: an hour of packing, about hour of driving there, three hours on the river and the drive back. The river was unfamiliar for us but with some beta we thought it would suite well for our skill level and should be easily doable in flood. And it was. Unfortunately Huck had some family man and house owner duties to do and we were not able to start before 18:00 or so. We drove to village of Tuupovaara, checked the place where we would end up and left my car there. We checked the river from two bridges on the way to the starting point and noticed that the water level was high, as it was supposed to be. This was a good thing. We found our starting place, donned drysuits and head into the water. One of the bridges from a different perspective. The river was quite nice mixture of small lakes, calm sections and class 1 and 2 white water. The beta wasn’t very helpful with the high water levels but most of the rapids were easy and rocks well covered under water. Only harder part was at Kalliokoski (class 2-) where we intentionally chose the not-recommended right braid of the rapid (probably class 2) and I ended up back first into a sweeper (a tree hanging above the water) and swimming from there. After hitting my helmet to the rocks a couple of times I managed to get out of the kayak and into a small eddy, emptied my kayak and got back to the business. So no problem but it serves as good reminder about not to be too confident in moving water! The rest of the river was nice and varying, on some parts there were a lot of summer houses but some parts were wilder. We saw numerous birds including two swans. And after the last 700m long rapid a beaver tried deport to us away from it’s nest by splashing the water loudly ahead of us. We left the next to be and paddled to the last lake a bit after sun set. It was a great ending for the trip. The river was really nice and it was a bit pity that we were in such hurry (running out of daylight because of late start). And it’s not the only nice little river in the world. 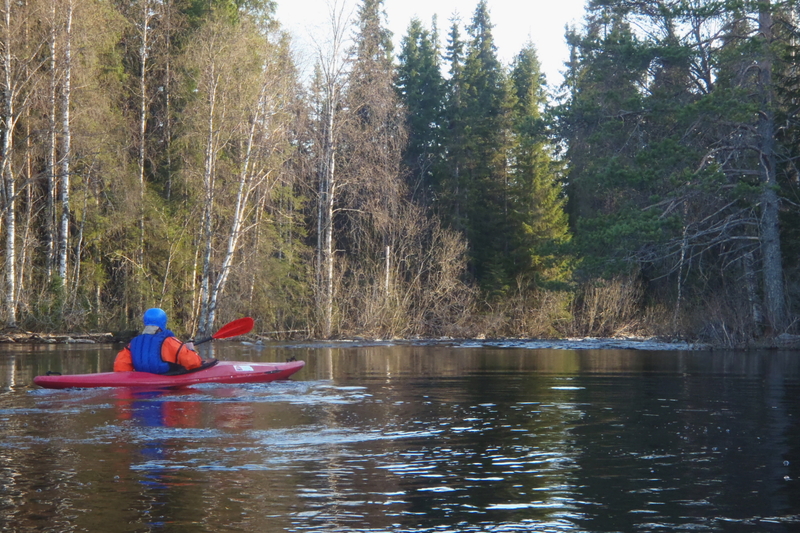 There are myriads of nice little rivers to paddle and this is the time of the year to do that. 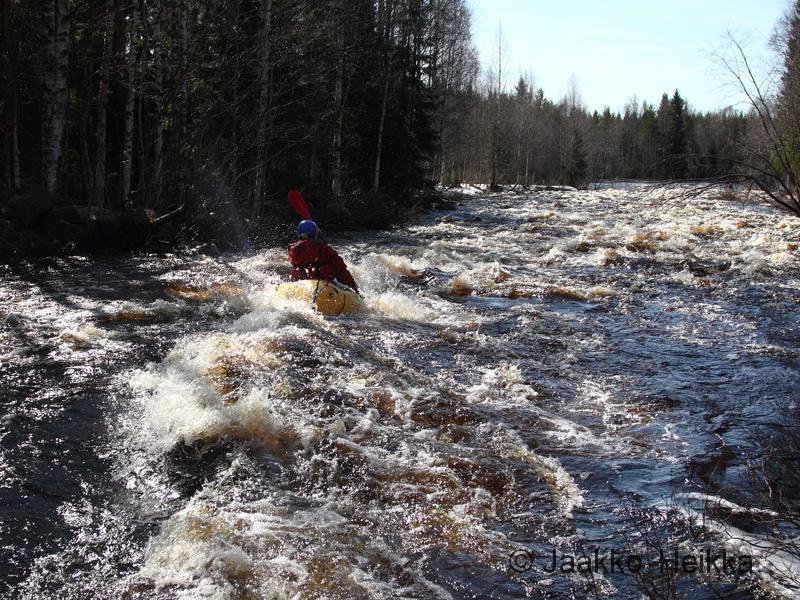 And also big rivers can be nice for those with the skills required, just read about two guys who had done a 100 km at Ounasjoki in 7 hours 37 minutes, thanks to the high flood. 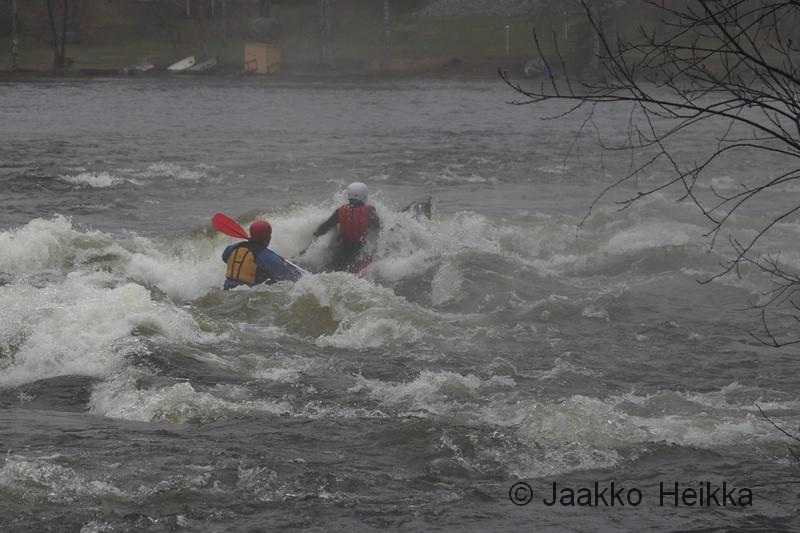 (The flow was 1250 cubic meters per second, we had about 6m^3/s at Kuuttijoki…) That’s epic! Huck somewhere on the Kuuttijoki. So, as a closure for this post: Remember to go out and enjoy the nature! It’s great.